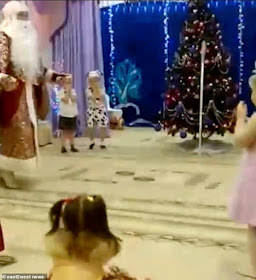 A committed Father Christmas performer has collapsed and died during seasonal festivities at a kindergarten in Siberia. 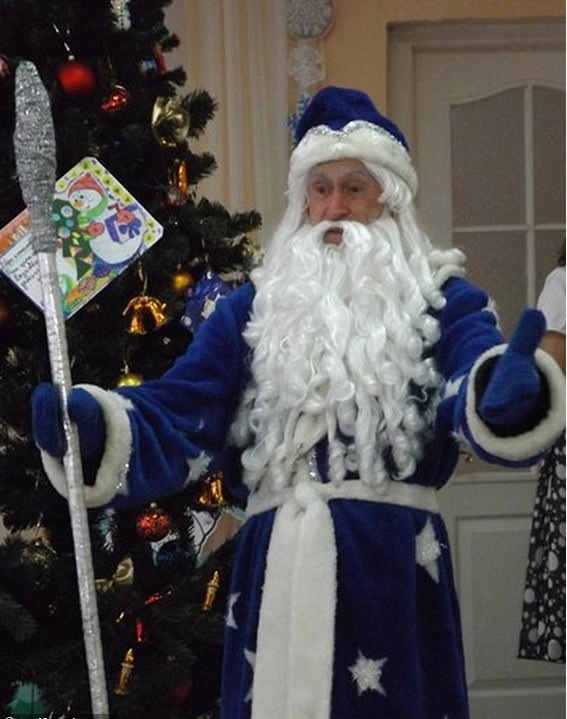 The Russian Santa was energetically performing with excited young children before he suddenly stood still and fell backwards. 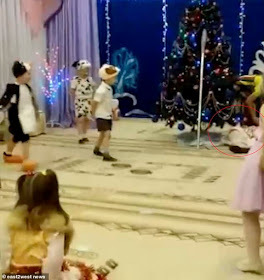 Some of the youngsters thought perhaps his collapse was all part of the game, which involved them touching their noses, and some rushed towards the fallen figure. 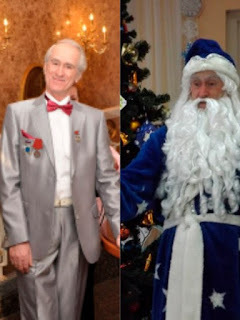 But the actor playing white-bearded Ded Moroz, or Grandfather Frost, as he is known in Russia, had collapsed next to the decorated Christmas tree with a heart attack. 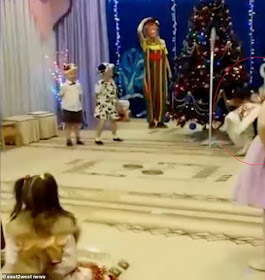 Another cast member, a woman dressed as a clown, is seen rushing behind the tree to help the stricken Santa. It was revealed today that he had not been feeling well, and had complained of chest pains, but did not want to let the children down so went in to work to perform for them.